Popular music is full of songs about medical practitioners. From Cypress Hill’s Dr Greenthumb to Gloria Estefan’s Dr Beat. From Aqua’s Dr Jones to Steely Dan’s Dr Wu. From the Beatles’ Doctor Robert, who helps you to understand, all the way through to Dylan’s ‘best friend my doctor’, who can’t even tell what it is he’s got. There have been Frontier Psychiatrists, Night Nurses and Witch Doctors. But has any doctor in pop music ever had two degrees in bebop and a PhD in swing? 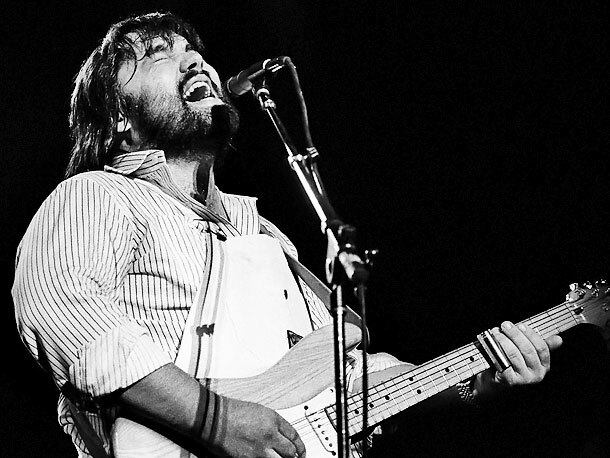 Only Lowell George’s Rock & Roll Doctor. George was one of the heroes of Laurel Canyon. There were several artists out of LA in the early seventies who were hugely popular with the mainstream audience (Young, Mitchell, CSNY, Taylor, King, Eagles, Ronstadt), and then there were artists who were hugely popular among other artists: John David Souther, Lowell George and Jackson Browne – guys whose songs everyone covered, who pretty much everyone believed were really talented, but who didn’t particularly catch on themselves commercially (Browne of course did later, but his first album took four years to go gold and he was never a major star like Taylor, King or Young). As late as 1975, David Geffen was still trying to make JD Souther a big name by putting him in an instant supergroup with Chris Hillman and Richie Furay. It duly went nowhere, with Furay and Souther openly loathing each other. Hillman, as is his lot in life, was caught in the middle. Little Feat had a cult audience Souther would have envied, and like Souther, Lowell George could afford all the coke he could snort thanks to covers of his songs by artists such as Linda Ronstadt, but far too few people heard George singing his own songs, backed by his own band, several of whom were in-demand session players, like Richie Hayward – a great drummer who played with Ronstadt, Dylan, Robert Plant, Tom Waits and many more. 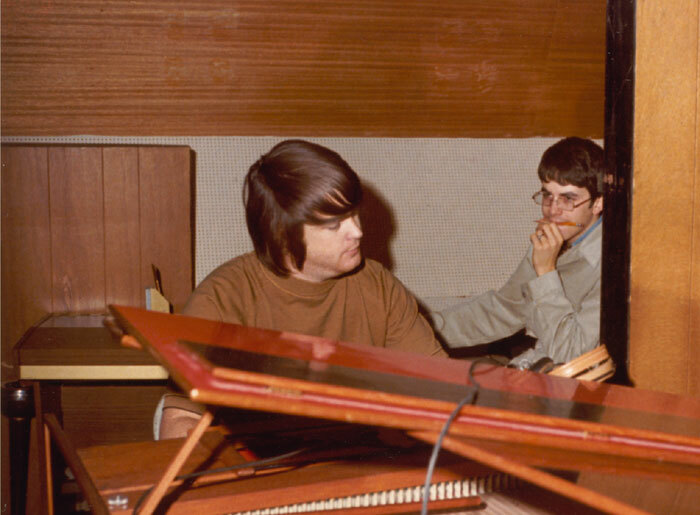 George himself was known for his slide guitar – and he is one of the very finest, completely himself and instantly recognisable – but he was also a decent singer, much admired by Van Dyke Parks among others, and at his best a great writer too. He died in 1979 from a heart attack, 34 years old and weighing over 22 stone (quite a gastronomic achievement for a man who was high on coke almost constantly), leaving behind a wife and young daughter (Inara George), and a reputation that’s still not really spread beyond fans of seventies LA rock. He’s not obscure, exactly, but he’s not a cult artist either. I’ve never met a fan of Little Feat my own age or younger. I’ve never met a fan of Inara George my age either, come to that. His profile might yet be boosted as, say, Judee Sill’s has been in the last five or six years, but it’d take someone to stand up for him and argue the case. If you find yourself caught up in the groove of this one – and really, you should – check out the live version they played in 1975 on The Old Grey Whistle Test (easily found on YouTube); if anything it cooks even more. This entry was posted in Music and tagged bebop, Bob Dylan, Carole King, Chris Hillman, Cypress Hill, David Geffen, Doctor Robert, Dr Greenthumb, Dr Wu, Frontier Psychiatrist, Gloria Estefan, Jackson Browne, James Taylor, John David Souther, Joni Mitchell, Judee Sill, Just Like Tom Thumb's Blues, Laurel Canyon, Linda Ronstadt, Little Feat, Lowell George, Neil Young, Night Nurse, Richie Furay, Richie Hayward, Robert Plant, Rock & Roll Doctor, slide guitar, Steely Dan, swing, The Beatles, Tim Buckley, Van Dyke Parks, Witch Doctor on March 8, 2014 by rossjpalmer.